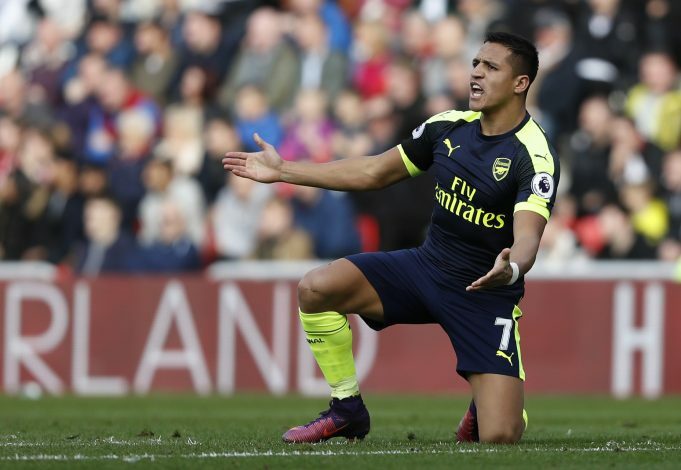 Arsenal star man Alexis Sanchez has been accused of actively withholding taxes during his time with Barcelona. Sanchez joined FC Barcelona back in 2011, for a fee of €26 million. The talented forward spent 3 seasons with the Catalan giants – during which he won one La Liga title, one Copa del Rey, a FIFA Club World Cup, and a UEFA Super Cup – before eventually leaving for Arsenal in 2014. However, the Chile international did more than just win trophies during his time in Spain, as per Catalan newspaper El Periodico. According to their report, Sanchez has been accused of defrauding the Spanish tax authorities, by concealing some of the money he earned from his image rights as a Barcelona player. A tax complaint has already been filed against the 27-year-old, by Prosecutor Miguel Angel Perez de Gregorio. The Chilean has reportedly defrauded the tax authorities of €587,677 in 2012 and €395,766 in 2013 – a combined total of €983,443 (£889,169). He did so by allegedly concealing these image right earnings using companies set up in Chile and Malta. Alexis specifically hid the existence of Numidia Trading, a company based in Malta, which he owned 99 per cent. The prosecutor has described this Numidia Trading company as a “purely instrumental entity” used by Sanchez to facilitate the “fraud committed to the Spanish Treasury”. Sanchez is not the first Barcelona player to get accused of tax evasion. Five more players have already been linked with this offense, such as former players Samuel Eto’o and Adriano, along with current stars Javier Mascherano, Neymar, and Leo Messi.